Award scheme for community-based youth projects with a positive impact on the lives of children and young people and their families. 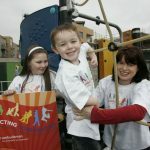 This was an award scheme to recognise and celebrate the community-based programmes and projects that have a positive impact on the lives of children and young people and their families. Different youth projects in the community took part and explained what they were doing to have a positive impact on children and young people. They received a recognition award for their efforts. 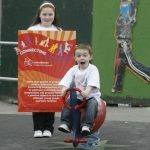 We had heard from children and young people what was important to them in community life, and we wanted to recognise the excellent work on the ground that many community or voluntary groups were doing to have a positive effect on the lives of children and young people.